Artesia, Cerritos and Norwalk Indian restaurants are big on buffets. It's rare to find an Indian restaurant on Pioneer Blvd in Little India that does not offer a lunch buffet. Artesia Indian buffets come in various forms from North Indian, Gujarati, Punjabi, Rajasthani, South Indian to Indian-Chinese cusines. An Indian lunch buffet is not a sumptuous affair like a Chinese buffet but better value than an a la carte meal. Whether you're a newcomer or a veteran, the best route to Indian cuisine is via a buffet. Indian buffets not only provide an opportunity to taste a variety of vegetarian and meat items but also offer excellent value for money. 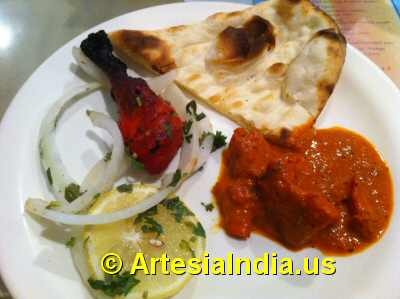 Most Artesia Indian restaurants like their counterparts in Los Angeles serve all you can eat buffet for lunch and a la carte menu for dinner. Rare is the Indian restaurant that offers buffet for dinner. 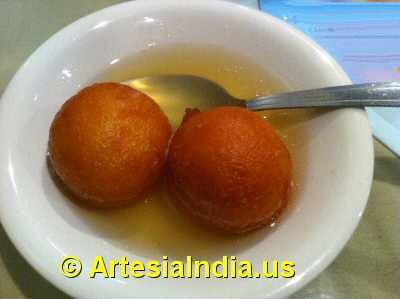 Artesia Indian lunch buffets are usually priced from $8.99 to $10.99. And the buffet price goes upto $14.99 during weekends. Artesia Indian buffets usually include a range of items from appetizers like Pakora, Medhu Vada, Samosa, Paapri Chaat and Tandoori Chicken plus entrees like Chicken Tikka Masala, Fish Curry, Palak Paneer, Dal Makhani, Chicken Biryani, Goat Curry, entrees, Gulab Jamun, Gajar Halwa, Rice Pudding, Fruit Custard desserts and naan bread and rice dishes.